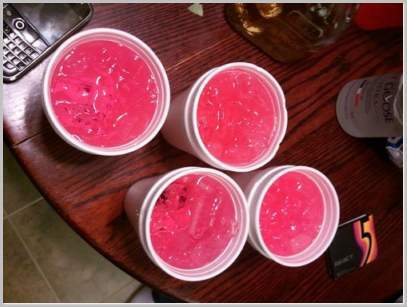 Recently, lean drink, a party concoction mentioned by various celebrities is becoming popular. Teenagers are curious about its flavor and effects. However, before tasting or drinking this trendy blend, one must first learn everything about it to ensure that your health is not compromised. Lean drink, also known as purple drank or sizzurp, is a popular concoction that teenagers take during parties. To the naked eye, this beverage may seem harmless, however, it contains ingredients that endanger a person’s health and life. One of the primary ingredients of this concoction is codeine, a prescription drug used for pain relief and to suppress coughs. Although this substance can offer therapeutic benefits, it is under the controlled substance group due to its mind-altering effects that can lead to drug abuse and addiction. Aside from codeine, the lean drink also contains promethazine, a medication with sedative effects. Doctors prescribe this medicine to relieve allergic symptoms, motion sickness, coughs, vomiting, and nausea. However, when a person takes this drug recreationally, it slows down one’s central nervous system, causes seizures, and negatively affect the heart. Codeine and promethazine already have undesirable effects when taken individually. When a person takes these two drugs at once, it offers short-term pleasurable effects such as relaxation, euphoria, and high. However, these two substances can also cause drug dependence and health or life-threatening conditions. The major threat with this popular party beverage is that the drugs are masked with a sweet flavor. Thus, a person may take the drugs unknowingly. Because of lean drink’s enticing flavor, one may also drink large quantities, which may lead to a drug overdose. As mentioned, this purple drank is a blend of various ingredients including cough syrups that contain codeine and promethazine, carbonated beverages (Sprite, Mountain Dew or Cherry Soda), ice, and candies (Jolly Rancher). Making this party drink is simple. The first step is to mix the soft drink and cough syrup in a cup. The Jolly Rancher candies will provide lean drink’s signature mouth-feel flavor. A person can add some ice for a more likable concoction. Keep in mind that the purple drank is already a powerful concoction. Thus, you should avoid adding other substances such as alcohol. Doing this will only increase your risk of experiencing dangerous side-effects. Moreover, codeine and promethazine can cause addiction. Thus, it is best to limit your lean drink intake. Aside from being addictive, the two medications in this blend can cause constipation. People with digestive problems should avoid drinking this party beverage. Furthermore, the two drugs are oliguric, or substances that decrease a person’s ability to eliminate urine. As such, the concoction may aggravate the condition of people with stomach problems. Taking expired medications can harm you instead of improving your health. As such, you should not use any expired cough syrups when creating this concoction. In addition, you should only consume freshly made drinks. Lastly, one should avoid selling lean drink or cough syrups even though the concoction is popular. Remember that you will be held liable if something terrible happened to your customers. To provide a high, codeine and promethazine alters the brain chemicals in the brain leading to the central nervous system and respiratory system to slow down. Breathing problems may occur once there is a decrease in the lung’s ability to transport oxygen all over the body, which may eventually affect the functions of other organs. NMS is a life-threatening neurological disorder that occurs as a result of a hypersensitivity to drugs or foods. When a person has NMS, he may experience symptoms such as altered mental functioning, delirium, muscle stiffness, fever, sweating, and irregular heartbeats. Because the medications in the purple drank cause the body to slow down, the heart’s normal functioning will also be affected. One may experience slow or irregular heartbeats after taking the concoction. In extreme situations, one may experience heart failure. 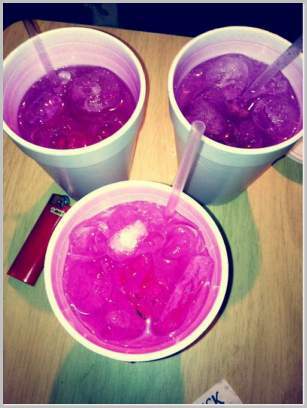 The lean drink is an addicting drink because of codeine. The drug’s effects are similar to Heroin, Morphine, Vicodin, and Oxytocin. Once a person develops drug dependence, withdrawal symptoms will arise if an addicted user suddenly stops taking this beverage. One may experience symptoms such as difficulty sleeping, agitation, anxiety, sweating, muscle aches, runny nose, and increased tearing of the eyes. Addicted to Lean and How to Treat? The addictive substance in the purple drank is codeine, a narcotic substance that alters the brain chemicals and affects the pleasure center of the brain. As a person frequently takes codeine, the brain is able to adapt to the changes in brain chemical levels resulting in a lesser pleasurable effect. To feel a euphoric feeling, a person must increase his dose, which eventually results in addiction. A detox program is a carefully crafted plan to remove codeine in the body and recover from drug dependence. This program will help a person get through the initial stages of withdrawal in a safe and comfortable manner. An inpatient treatment is when a person registers in a qualified rehabilitation center for his recovery. Most recovering addicts opt for inpatient treatment because medical practitioners can monitor their health and condition during the withdrawal process. Furthermore, to help reduce withdrawal symptoms, doctors can prescribe medications such as clonidine, methadone, naltrexone, and buprenorphine. In outpatient treatment, the patient can live in their homes and get their treatment during the business hours. You can opt for this treatment once your body is able to function normally without the drug’s effects. However, if you are still in the early stages of the detox program, inpatient treatment is the best option you can take. Joining a support group will also increase your chance of recovery and avoid relapse. Your doctor or therapist will recommend the 12-step program that you can take by joining a support group such as Narcotics Anonymous. Overall, support groups can guide and help you return to your normal life without taking addicting substances. People in these groups can provide stories and valuable bits of advice that can help you overcome your cravings and challenges. With that, this famous party beverage may provide short-term pleasure. However, this pleasurable feeling may result in addiction and other health problems. Thus, you have to think twice before taking a sip of a lean drink.